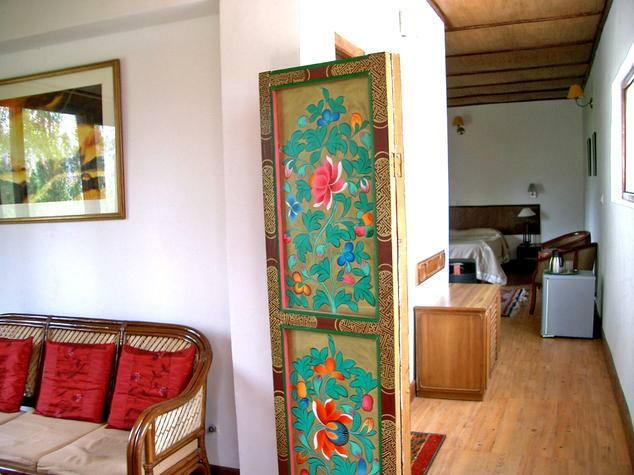 Just 3.1 km from the airport, Hotel Shambhala is a deluxe hotel ideal for a pleasant vacation. The hotel is located amidst a poplar grove with a meadow outside the hotel. 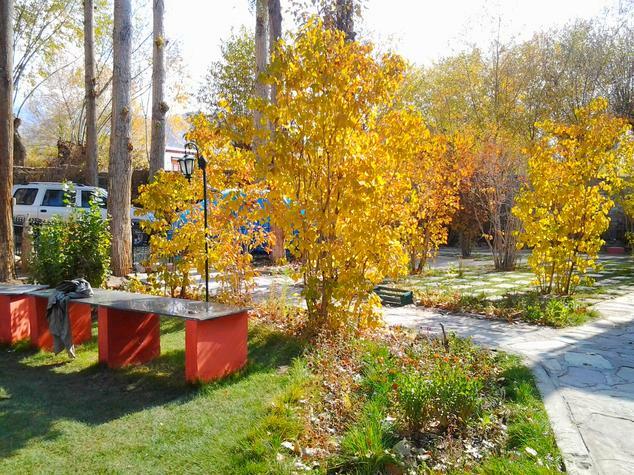 The natural setting with magnificent Himalayan Mountains and the central location connecting to the market place makes the hotel a perfect retreat. 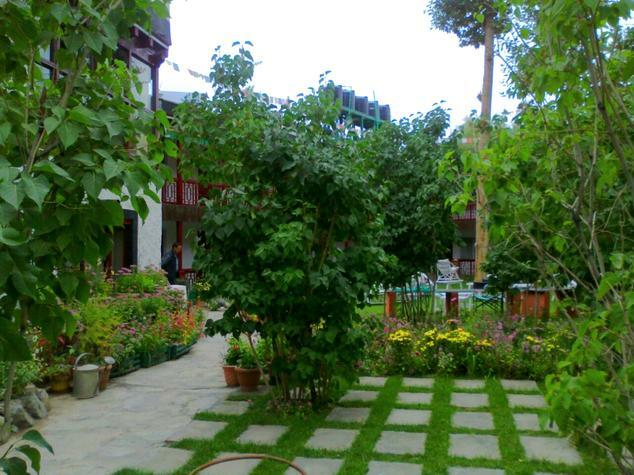 The city’s numerous attractions such as Thiksey Monastery, Barkhore Bazaar, Jokhang Temple, Namgyal Tsemo Gompa, Sankar Gompa, Potala Palace and Zanskar Treks are quite close to the hotel. The hotel is open from April till November. 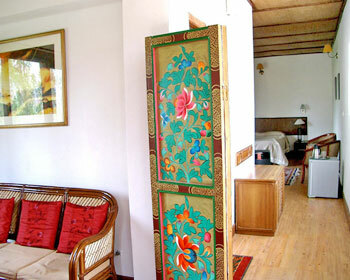 Various treks and tours are also organized by the hotel on request. 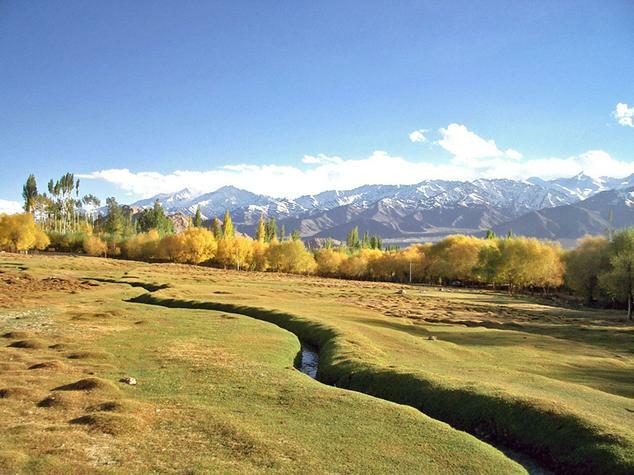 The hotel also has its own camps in the splendid Nubra Valley where safari tours can be arranged. Other facilities and services offered by the hotel are airport transfer (surcharge), travel counter, doctor on call, courtesy - free drop to town, conference facilities, smoking area, laundry and dry cleaning services, valet parking and safety deposit lockers. The hotel premises incorporates library, rooftop terrace and lush green gardens for recreation purposes. 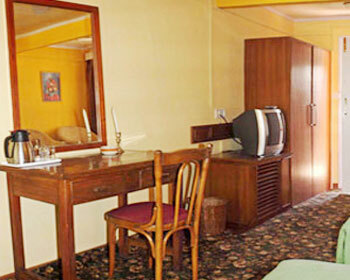 All the rooms are tastefully designed and furnished with essential amenities. 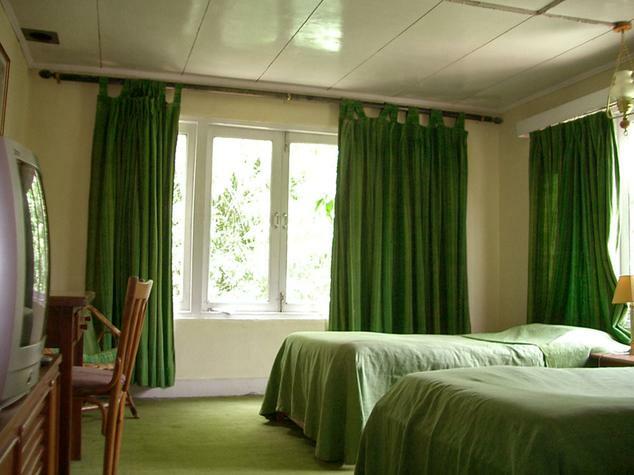 The modern facilities include satellite television, direct dial telephone facility, complimentary Wi-Fi access, work desk, central heating, daily housekeeping and attached bathrooms with running hot / cold shower and bath toiletries. Round the clock room service is also provided. These rooms have a traditional décor and homely ambience. The amenities offered in each of the rooms include central heating, television with satellite channels, direct dial facility on phone, complimentary wireless internet access, daily housekeeping, work table and 24 hour room service. The private bathroom is well equipped with shower, bath essentials and running hot and cold water supply. 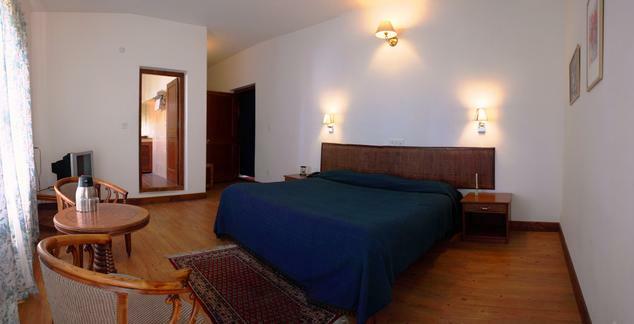 The suites are lavish and have elegant interiors adorned with comfortable furnishings. The amenities include direct dial facility on phone, television with satellite connection, work desk, complimentary Wi-Fi connectivity and central heating. The private bath is well appointed with running hot and cold water, shower and bath accessories. 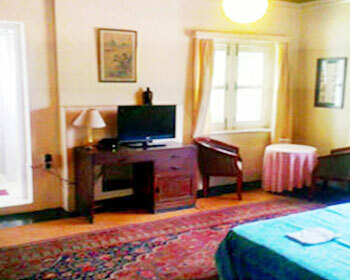 Round the clock room service and daily housekeeping is provided. 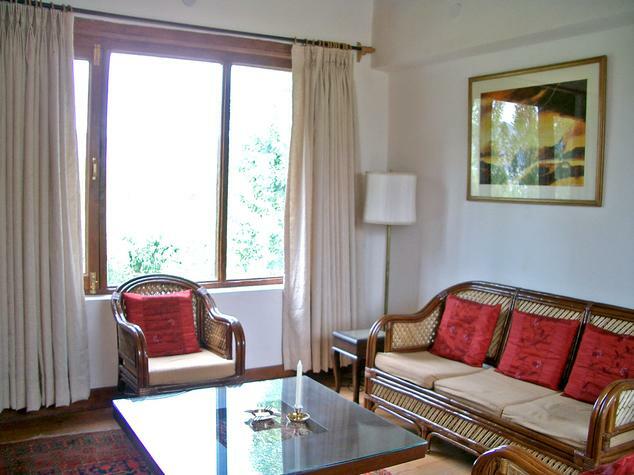 The balcony offers an exquisite view of the lofty mountains and the natural surroundings. The onsite restaurant features a multi cuisine menu including Ladakhi, Indian, Continental, Chinese and Tandoori delicacies. 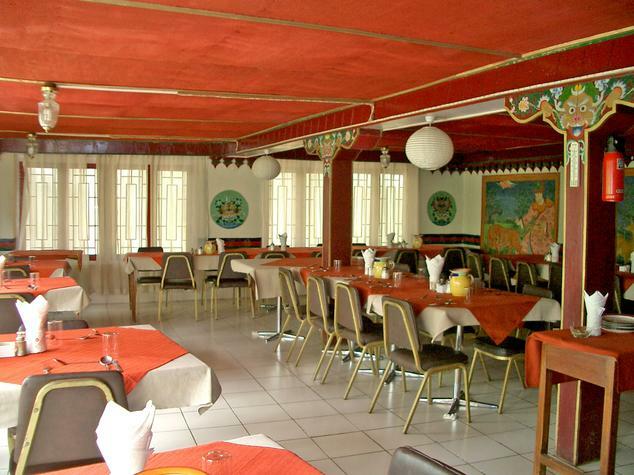 The restaurant has a traditional and inviting ambience. 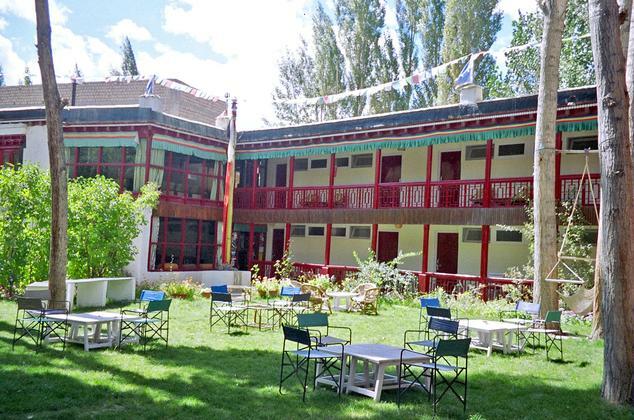 The food is individually prepared with regional ingredients and authentic Ladakhi recipes. The coffee shop is located on the lobby area and serves delicious snacks and light meals. One can enjoy a good cup of hot coffee or tea with friends or just relax alone in the calm ambience with your choice of beverage or snack.